Nielsen's resignation was first reported by CBS News. 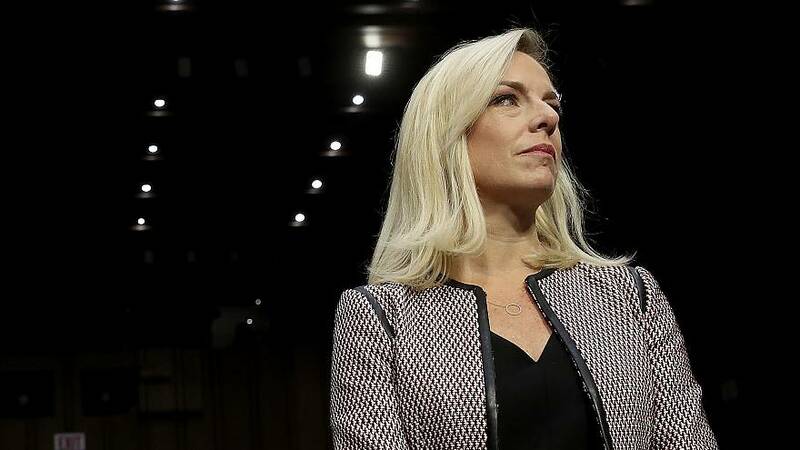 But Nielsen, 46, has suffered from tepid support within the administration, taking public responsibility for Trump's deeply divisive anti-immigration policies. The president has reportedly expressed displeasure with her job performance. The White House last week unexpectedly withdrew the nomination of Ronald Vitiello to be head of Immigration and Customs Enforcement, and Nielsen has run Homeland Security, the federal government's third-largest department, without a deputy ever since she succeeded John Kelly at Homeland Security in December 2017 after Kelly became White House chief of staff. Nielsen entered government as the director of prevention, preparedness and response for the White House Homeland Security Council during the administration of President George W. Bush. She returned to the White House as Kelly's chief of staff at Homeland Security before succeeding him late in the year.